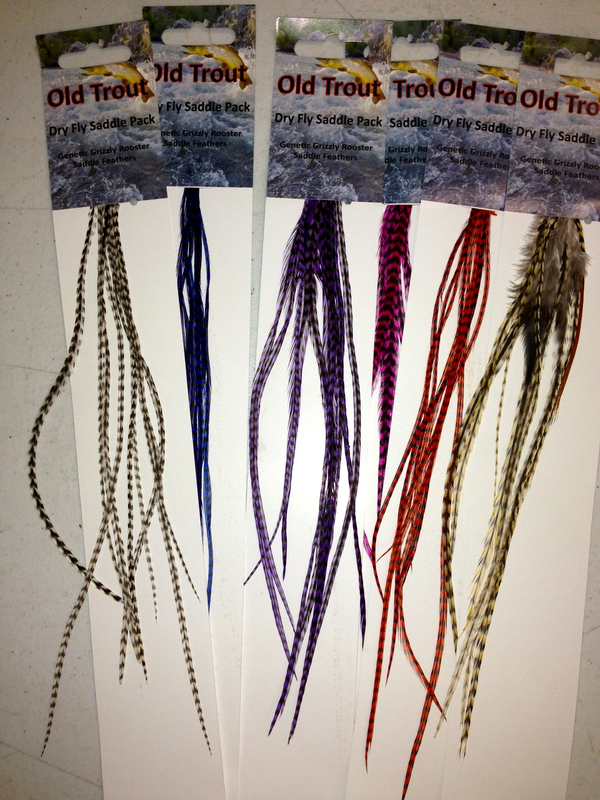 Description Grizzly Saddle Packs contain 8-10 natural or dyed grizzly saddle feathers. These are 6-9 inches in length and thin. 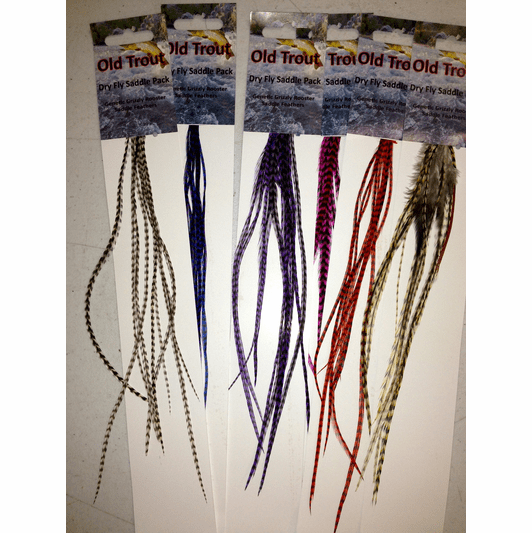 Hook sizes are roughly 12-16. Fly tiers will love these genetic quality uniform barbule length saddle hackles for parachutes, palmered bodies and much more. 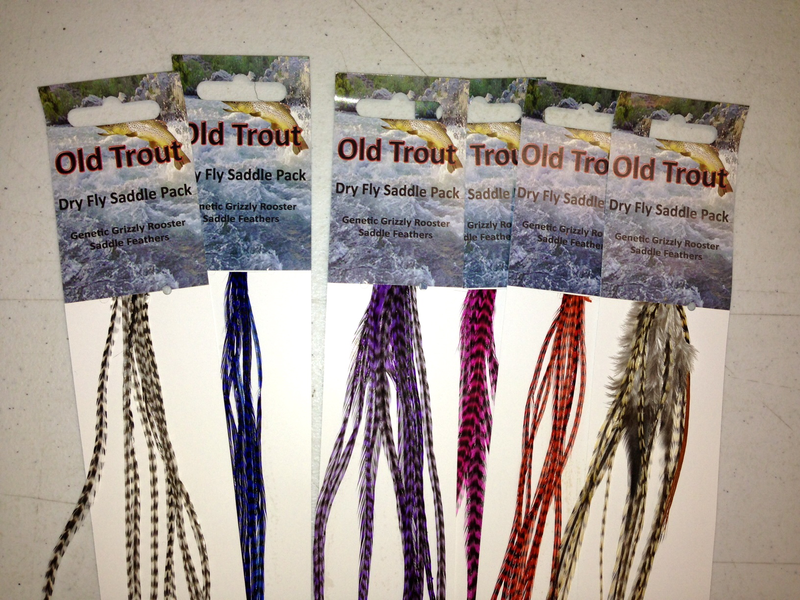 At only $9.95 Grizzly Saddle Packs give the fly tier an inexpensive option for some dyed and natural dry fly hackle. 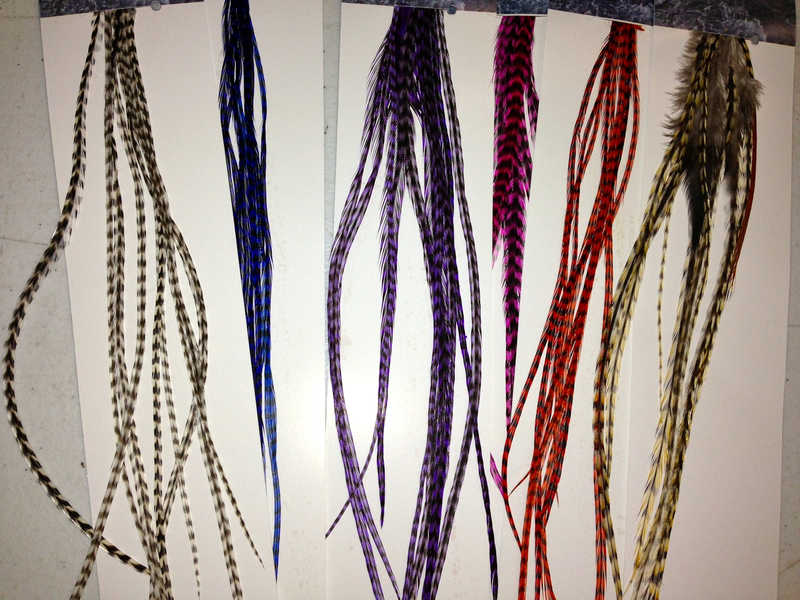 We just received a new batch of these, most likely our last, these are a phenomenal value for very hard to come by saddle feathers.